SMALL PROJECTS are one-of-a-kind design challenges that often highlight structure. 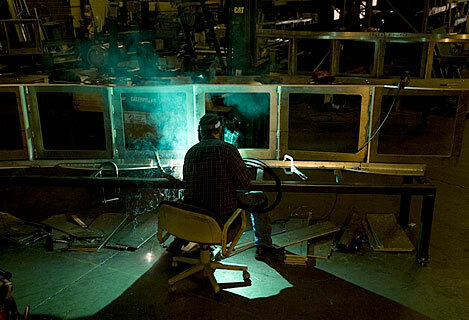 Projects include art installations, canopies, furniture and all types of structures that aren't quite buildings. The Big Pipe Portal Structure located on Swan Island in Portland, Oregon is a public art commission for the Bureau of Environmental Services (B.E.S.). 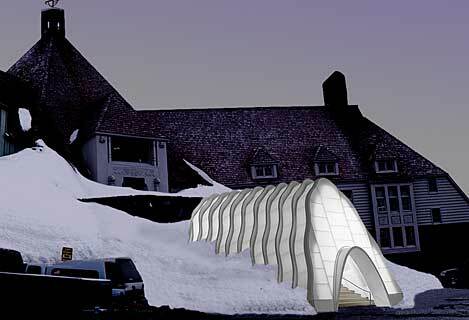 A new aluminum structure with segmental arches forming a wintertime entryway to historic Timberline Lodge. The United States Forest Service, Timberline operator RLK & Company and Friends of Timberline dedicated the entryway on October 3, 2009.